Mncuhin made the comment earlier Saturday, and also said the “implications of this” go way beyond a congressional oversight issue. 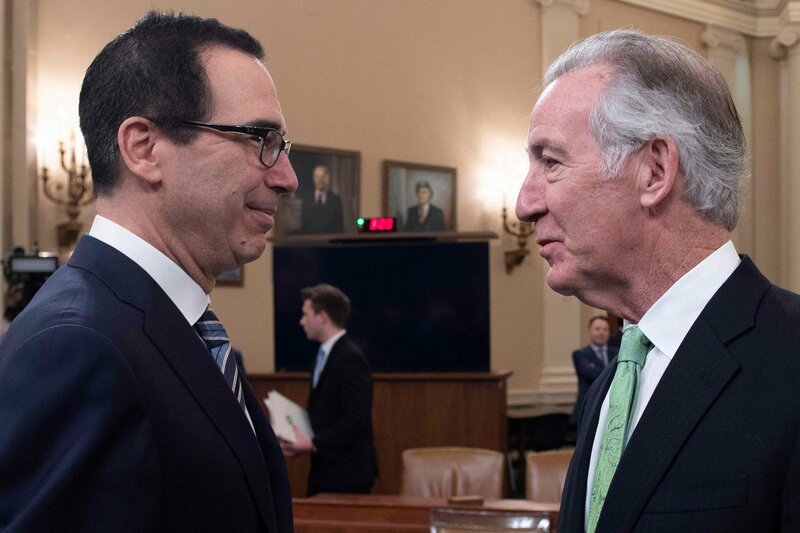 US Treasury Secretary Steven Mnuchin (left) and the chairman of the House Ways and Means Committee, Richard Neal (right; both seen on Saturday before a Congress meeting about Trump’s 2020 budget proposal), are at loggerheads over whether Trump should release his tax returns. He also said he wants to keep the IRS from becoming “weaponized” for political gain. Additionally, Mnuchin did not say whether the Treasury Department would complete it’s legal review of the request by the April 23rd deadline.